Veruca Salt – original members Nina Gordon (guitar/vocals), Louise Post (guitar/vocals), Steve Lack (bass), Jim Shapiro (drums) – will release their first full-length album of new material written and recorded together since 1996. The album, entitled Ghost Notes, was recorded in Los Angeles, and produced by Brad Wood, who helmed production for the band’s seminal, platinum-selling debut, American Thighs. Ghost Notes will be released on July 10th, 2015 on El Camino Records. The album’s cover art was created by the band. 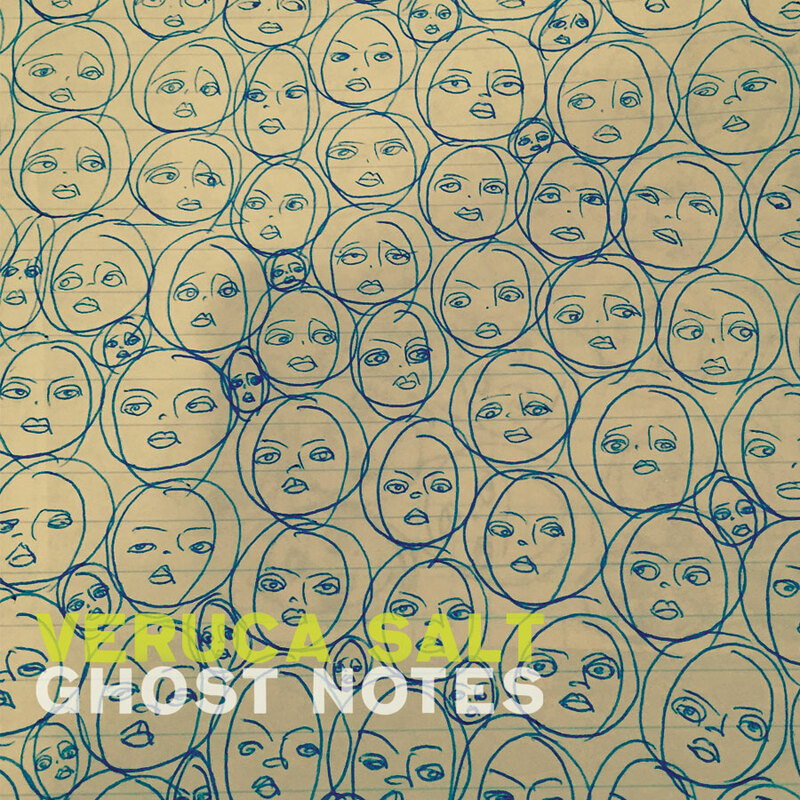 Ghost Notes is an amalgamation of everything that made Veruca Salt into a household name from the beginning and then some. All the hallmarks of the well-loved Veruca Salt sound are there: careening guitars, crashing drums, savory bass lines, and the unmistakable, incredible vocal interplay of the band’s two fearless leaders – Nina Gordon and Louise Post. The album presents a sonic narrative – the story of the band’s rise, demise, reconciliation, and reunion. Songs answer the myriad of questions surrounding their sudden implosion over fifteen years ago, allowing Veruca Salt to truly air their grievances, forgive each other, and make the third album they intended to make back then. Songs that were started in the mid-to-late 90’s and abandoned in the breakup have been reclaimed and reinterpreted, allowing Ghost Notes to serve as a stunning document of all the band left behind, while focusing on everything glorious to come. It is a record of hearts stitched back together and worn proudly on sleeves; a tour de force of friendship, betrayal, desperation, loss, regret, reformation, and redemption. And – at the end – the album is the jubilation of four musical peers who found each other again, and got to reconnect the best way they knew how: through song.